Our school-age class learned about ITALY today. We found Italy on a map and talked about how it is easy to find because it is in the shape of a boot. A retelling of an ancient tale that appeals to all ages. Strega nona, or “Grandma Witch,” has a magic pot that makes never-ending pasta. Big Anthony discovers her secret, and one day when Strega Nona goes over the mountain for a visit, Big Anthony decides to use the magic pot. But he quickly discovers that doesn’t know how to tell the pot to stop making pasta, which is potentially disastrous for the town. This game requires learning how to count in Italian (a little bit.) Before we began, I went over the numbers 1-10 in Italian with the group. About.com has a web page where you can hear how to correctly pronounce the numbers 1-20 in Italian. To begin the game, one player is the “lupo” (wolf) and stands at the opposite end of the room from the other players, who form a line. The players call out “Lupo che ore sono?” (Wolf, what time is it? ), and the wolf answers with a number in Italian (for example: “tre.”) The players must then take that many steps (3 steps in our example) toward the Lupo. After everyone has taken their steps, the Lupo tells the players in English the correct number of steps (“three.”) If the players took the correct number of steps they can stay where they are; if they took the wrong number of steps, they must return to the line. The first person to cross the room to where the Lupo is standing, wins. Before beginning this game, make sure to go over a few basic rules: Be respectful to others, No running, No pushing, shoving etc. After discussing the Alps and finding the mountain range in northern Italy on a map, we made mountain climbers, climbing the Alps. Instructions and templates can be found on Busy Bee Kids Crafts. Viva Italia! Festive Italian Classics is another good CD. 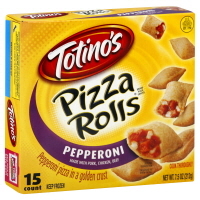 Pizza was a little too messy, so we ate Totino’s Pizza Rolls! What great ideas! Your blog is one of my very favorites!